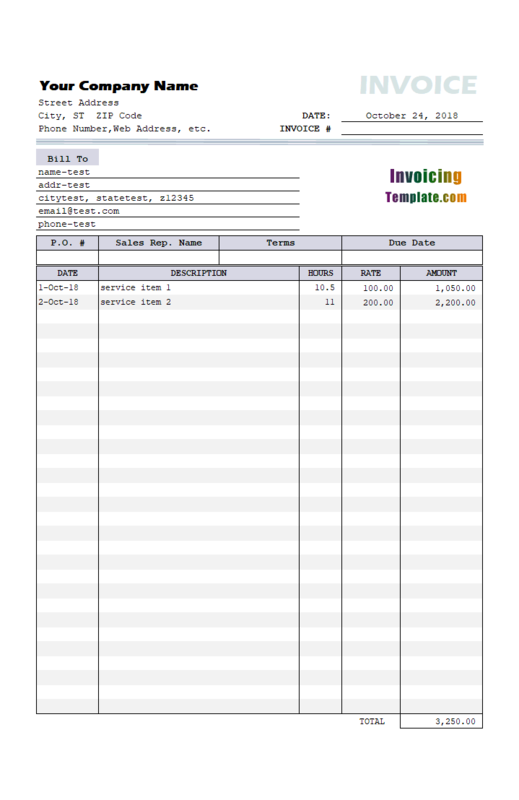 Simple Invoice Templates are those that have a simplified layout, lightweight design, with basic elements, somewhat artless invoicing formats. We take the following samples in Excel spreadsheet format for you to download and test. Again, all the templates are free. 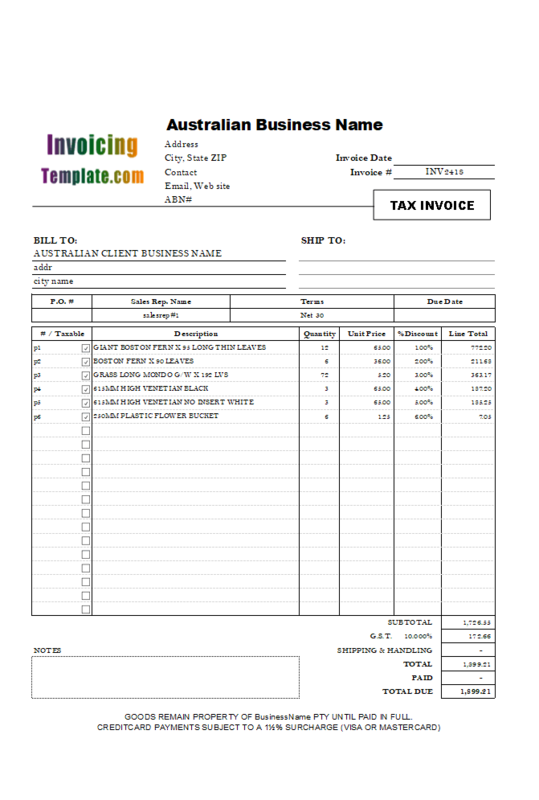 Here are our templates closely related to Simple Invoice Templates - 20 Results Found. 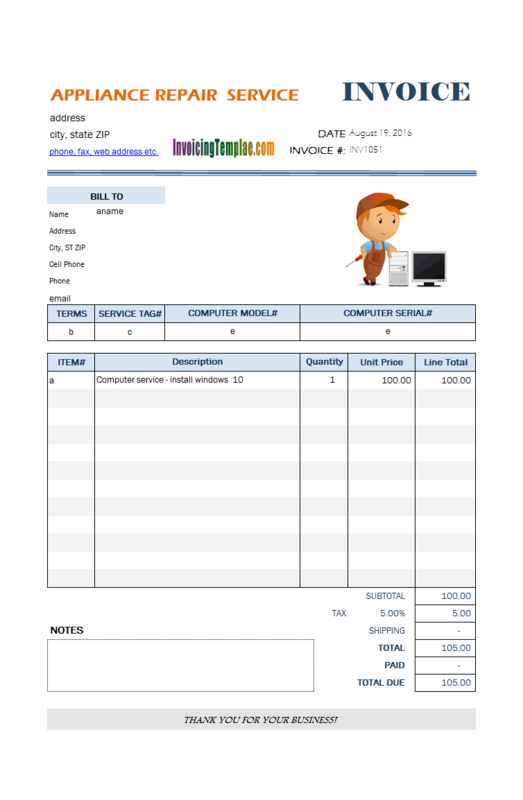 This template was originally published on our company web site uniformsoft.com with the template# "c5-020". 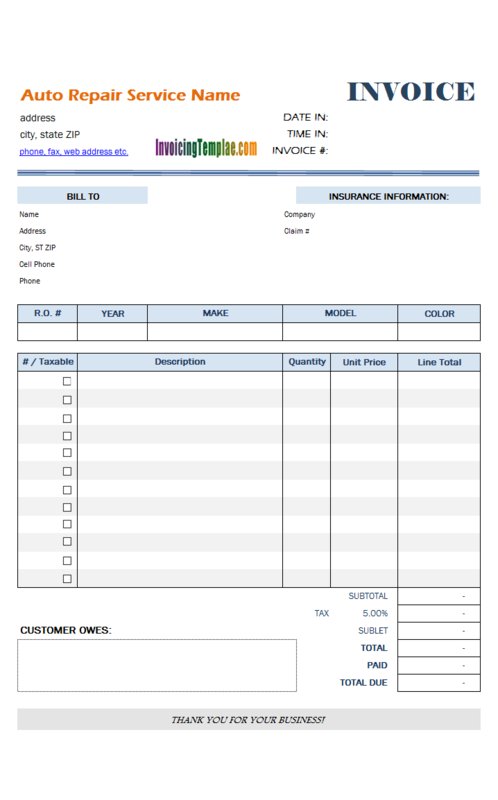 We now revisited it and fine tune the form layout it here on InvoicingTemplate.com, and released it with the corresponding template# "c5020", and with a new template title Appliance Repair Service Bill Template. First, make sure you have created a backup copy of the template. 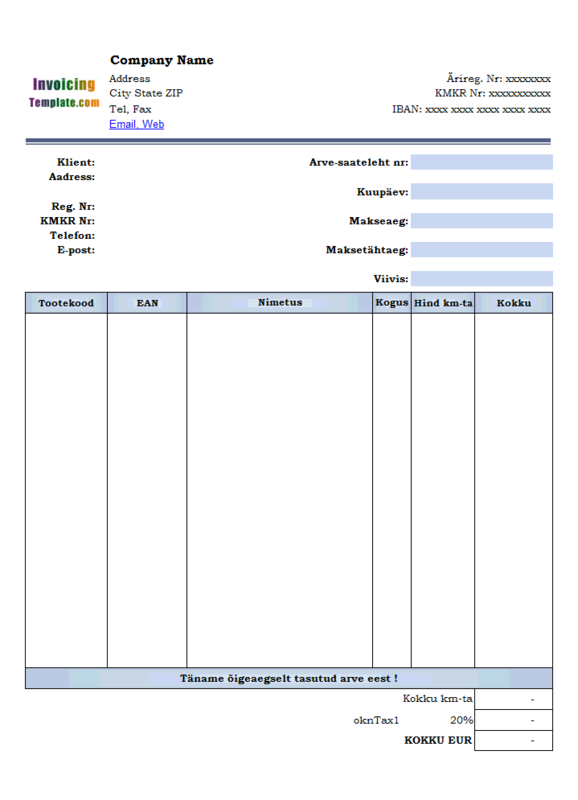 Open the template / spreadsheet file. Click "Custom Fields" on the toolbar to open the "Custom Field Manager" dialog box. 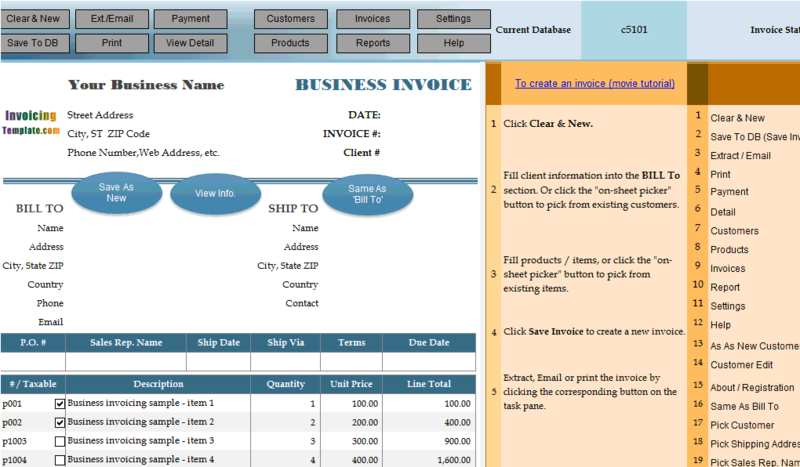 Make sure "Database Table" is showing "Invoice Header". Click "Add Field" to open the "Add New Custom Field" dialog box. 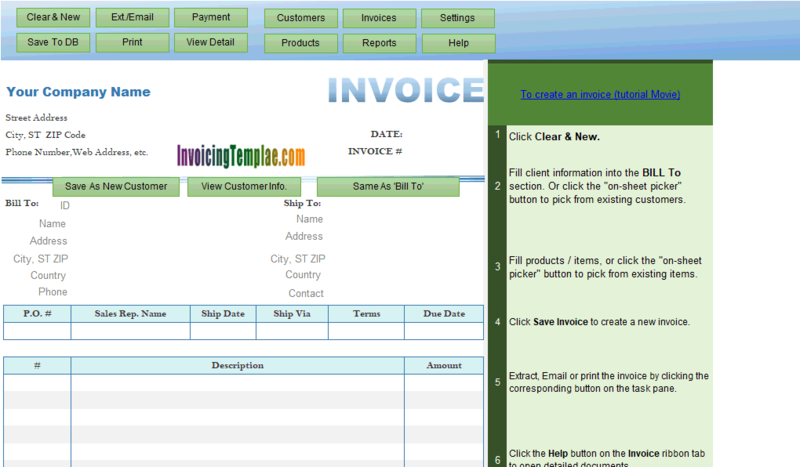 Enter: Field Name - TotalQuantity; Type - Decimal; Precision - 10; Scale - 2. Click "OK" to create the new "TotalQuantity" field. Close all dialog boxes and return to Excel form. 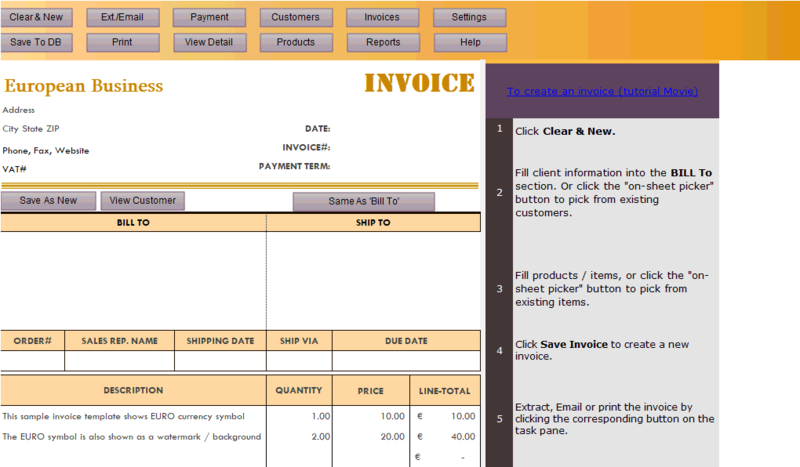 Switch to design mode by clicking the "Design Mode" button on the "Invoice" ribbon. 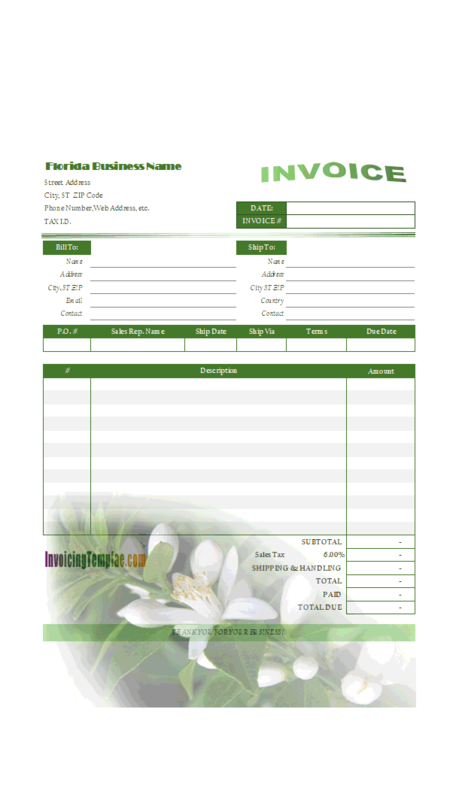 This allows you to modify the invoice design. 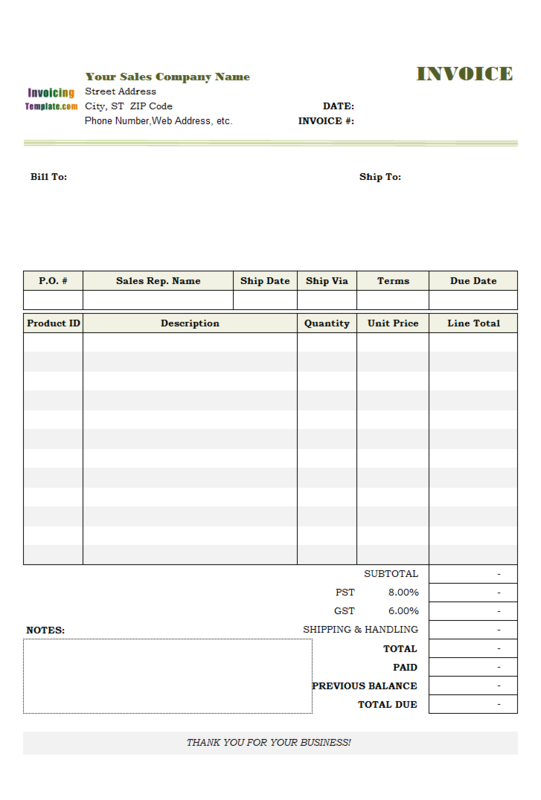 Click the cell where you want to place the quantity total. 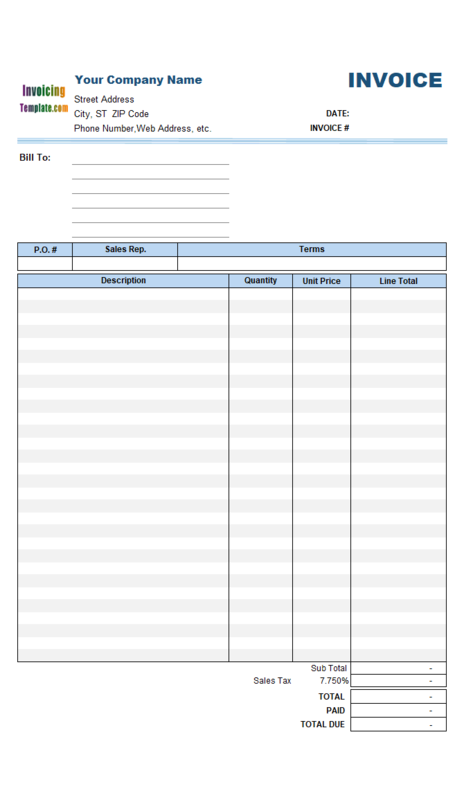 In this sample, we choose $I$34 - i.e. the cell below the "Quantity" column. 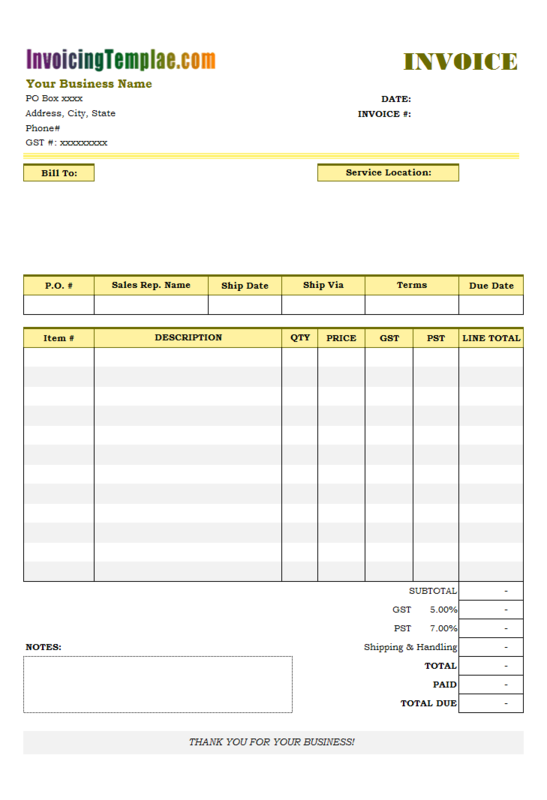 On the formula bar, click to activate the name box located at the left-end, enter the cell name "oknTotalQuantity". Note this name must be the combination of the prefix "okn" and the database field name "TotalQuantity". 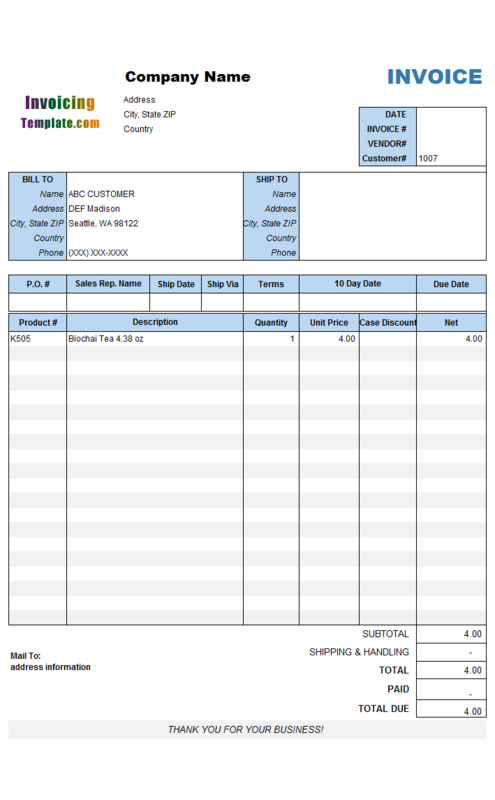 This name creates the map between the Excel cell and the backend Access database field to store the value when you save an invoice. 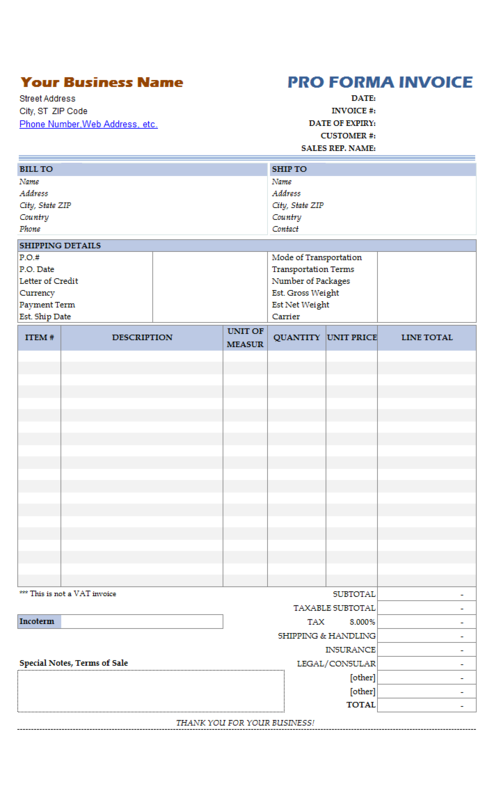 This printable image is located on the center-bottom of the form, where in the original template we placed the default logo image for your consultancy business. In order to show the background image, we've moved the default logo image (the placeholder image) to the top of the form layout. To change the page footer / page header, following the steps below. 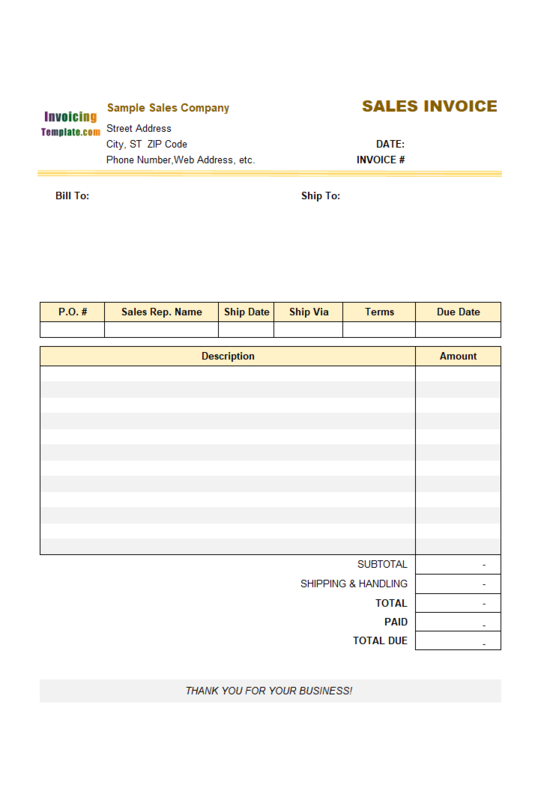 The word art image in this sample is created by clicking Excel "WordArt" command on the "Insert" ribbon tab. 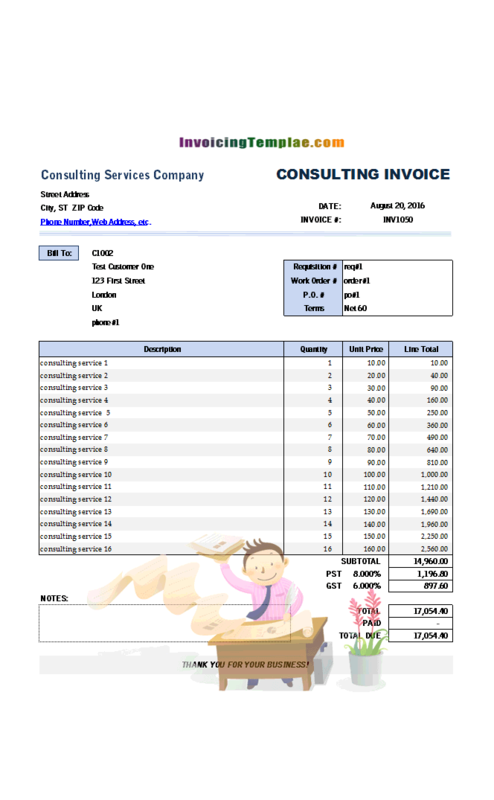 When the newly created word art object is selected, Excel shows a new "Format" ribbon tab, where you can adjust the "Text Fill", "Text Outlook" and Text Effects". 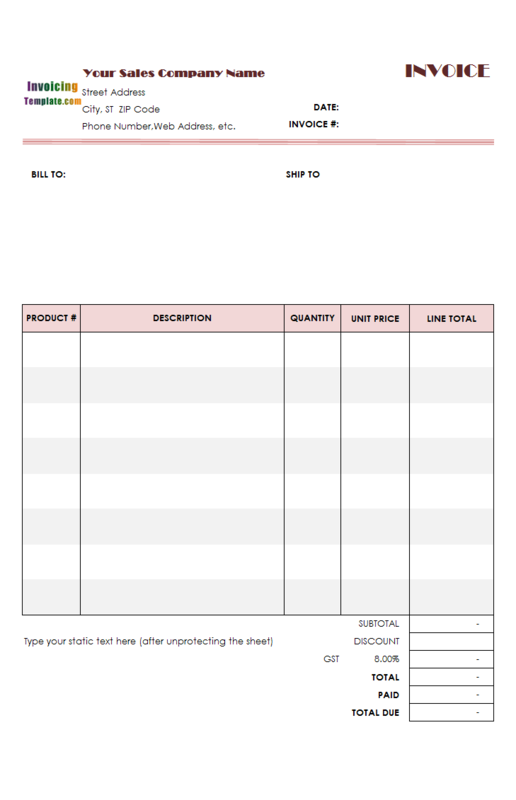 Firstly, we added the custom field "Product Type" to the Product database table. 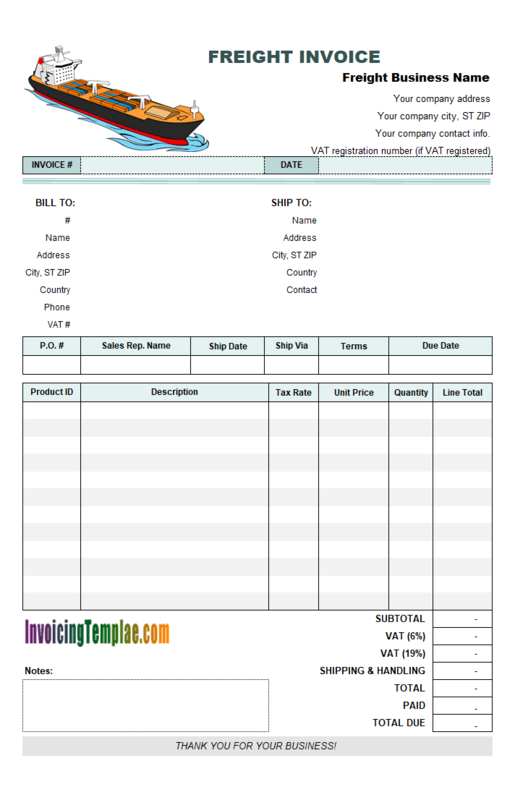 With this field you'll define the tax type of the product or item, which could be have a value of "beverage" or "non-beverage", or something like "General" or "Labor" - depending on your business requirements. 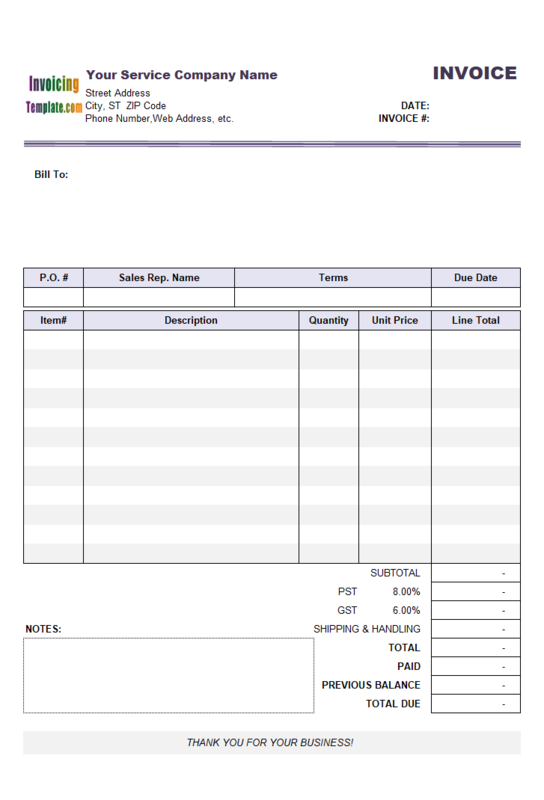 Secondly, we added the custom field "Product Type" to the "InvBdy" database table, with exactly the same name and type as what defined in the Product database table; and add the custom field "Applied Tax Rate" to the "InvBdy" data table, which saves the actual rate applied to the current invoicing item. 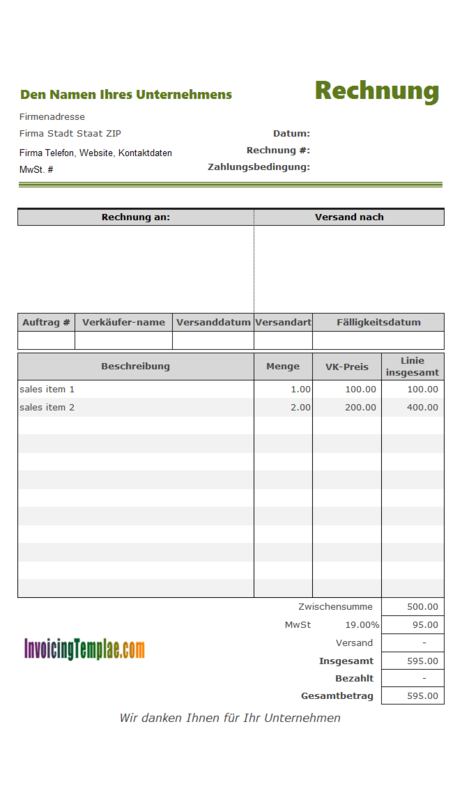 Note that in order to save the previous outstanding balance to the current invoice, a custom field named "AccountBalance" should be added to the invoice header database table too. 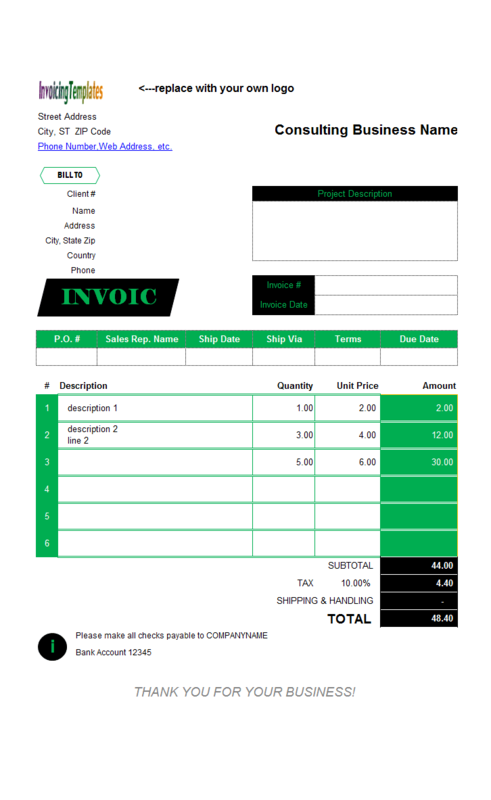 This is a service invoice version of Invoice with Previous Balance (Sales). 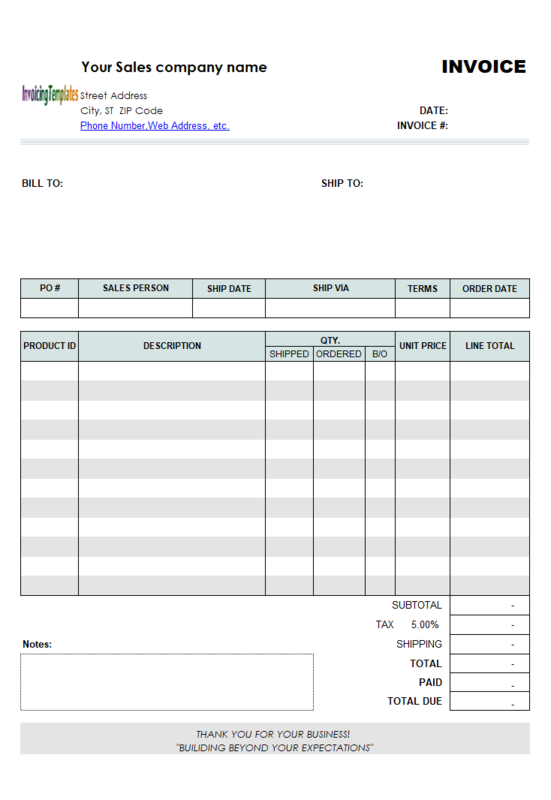 It differs from the original version by moving all shipping-related fields out of the printable invoice. 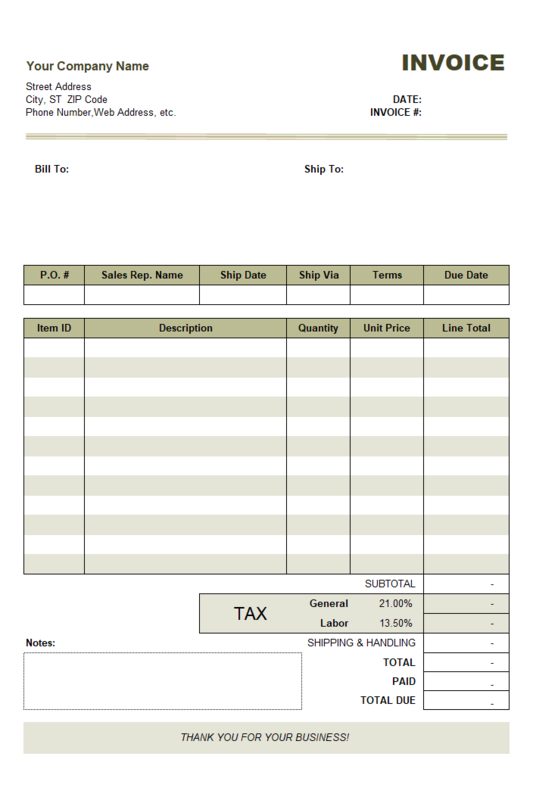 Unlike other simple invoice templates, this design has a custom field "Date" column added to the detail section. 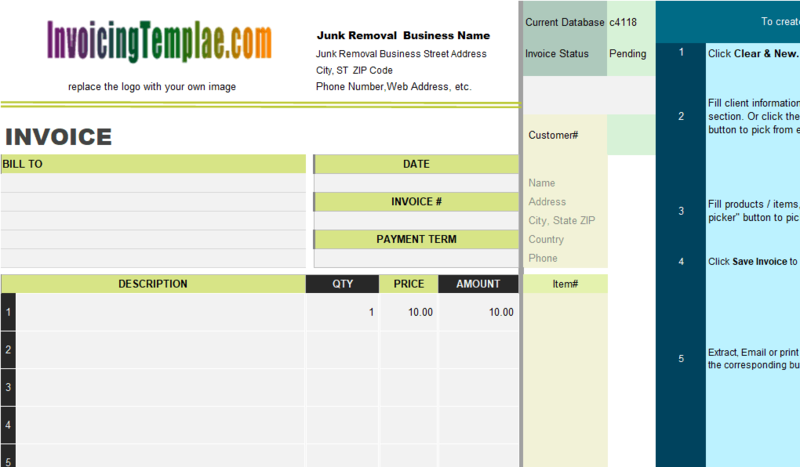 Since "Date" is a reserved keyword for underlying database, we use the "ItemDate" as the database field name. 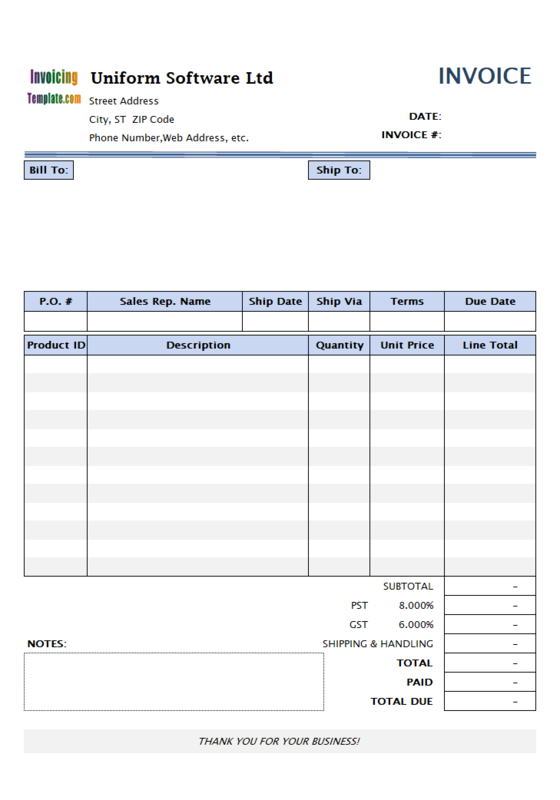 This custom field is added to the "Invoice Body" database table -- this means that the cell values are not filled automatically when you pick saved products / items. 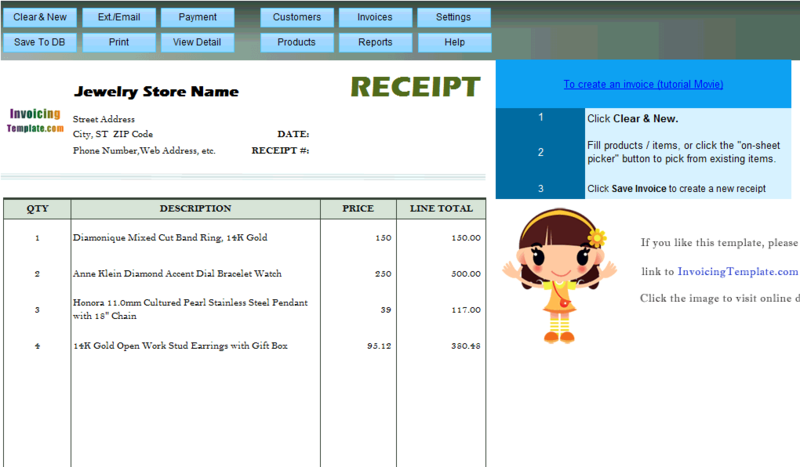 To learn how to set up and use custom fields (also known as user-defined fields), visit custom fields. 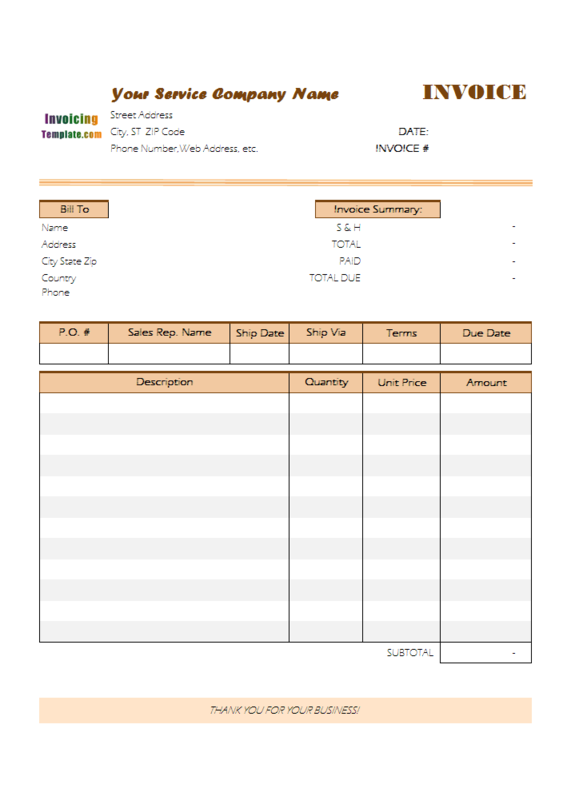 Visit hourly rate invoice template for more sample forms on hourly rate.